Texture Tuesday :: Tea on Tuesday - Jill Ruth & Co.
Kim's challenge today at the Cafe for Texture Tuesday, was...nothing! Free and easy edition she calls it. I chose her "fall in" texture on overlay blend mode for my Tea photo. Ah. My mug. Barnes and Noble is probably my favorite place to shop for Christmas. Sadly, my mug has a little chip. You can see it on the bottom left. So it goes. My daughter is currently working as a barista there. :) Tonight she comes home for Thanksgiving break and is bringing some new tea for us to try. I'm looking forward to her company and the tea. A chip adds character! Tazo's tea is some of my favorite-- because I love their packaging!!! And it's good tasting tea. 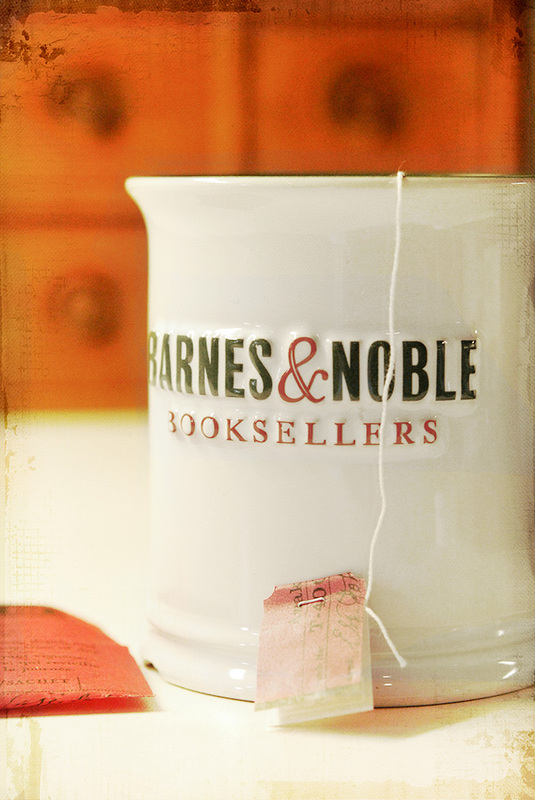 Love your texture and coffee, er, TEA mug from B&N. Your daughter has a cool job (maybe she could get you a new mug). Love a mug with a chip... shows it's been used and well loved. Happy Thanksgiving!! Lovely cup and lovely photo and texture. Have a wonderful time with your daughter and a Happy Thanksgiving! Love the photo and tea you are having. The mug is great too even with the chip. I can't resist a cup of tea and this one is lovely!